One really nice aspect of our self contained waterfalls is all the advantages that they bring to ones' landscape. Here at Everything Waterfalls, we feel this beautiful rock pond and waterfalls can easily go beyond the outdoor landscape and can be brought indoors for a beautiful water fountain for the family room. 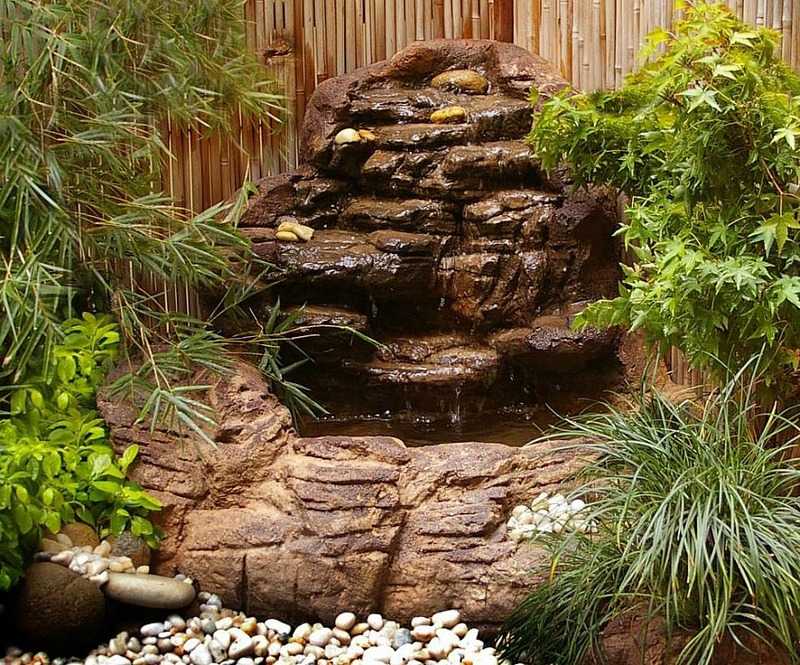 Our garden pond and waterfalls kit are made easy for the home owner in mind for installing and maintaining without consuming a lot of your time. The small pond waterfalls SCW-004 is a custom waterfall design to fit the corner areas of your garden, backyard and patio deck settings. 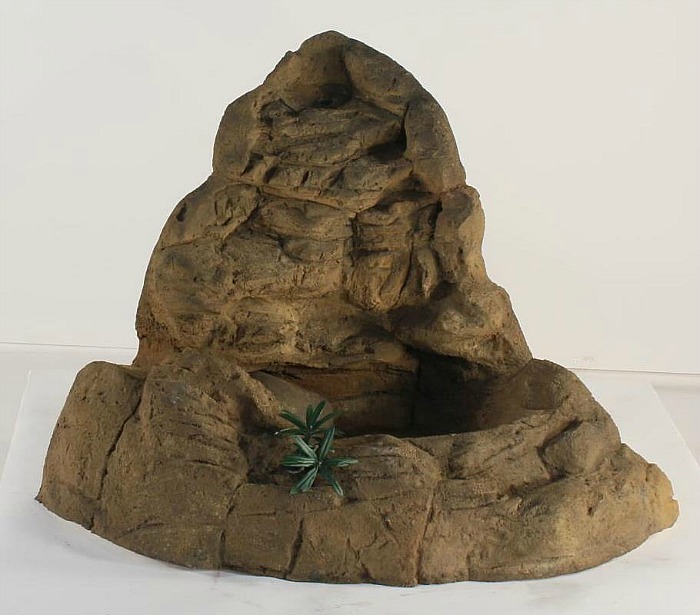 These beautiful artificial rocks are an outstanding way to create a choice garden pond and waterfalls rock as one unit to bring a cool water feature or waterfall fountain to fit the scope of your yard's landscape. These cool decorative rock pond waterfall combinations are as simple as finding a corner spot, adding water and plugging in. What makes our prefab garden ponds and backyard rock waterfalls so realistic? Our waterfall designs by Universal Rocks are castings from real rock formations showing off their incredible beauty and exceptional rock detail of many years of weathering and erosion sculpting. This is a cool way to capture nature's artwork of a beautiful waterfalls for your very own landscape creation. These artificial waterfalls are fabricated from a combination of polymers for excellent properties and characteristics for the ultimate outdoor waterfalls. With our spectacular waterfalls we can make your waterfall dreams finally turn into reality for your very own decorative water garden oasis.